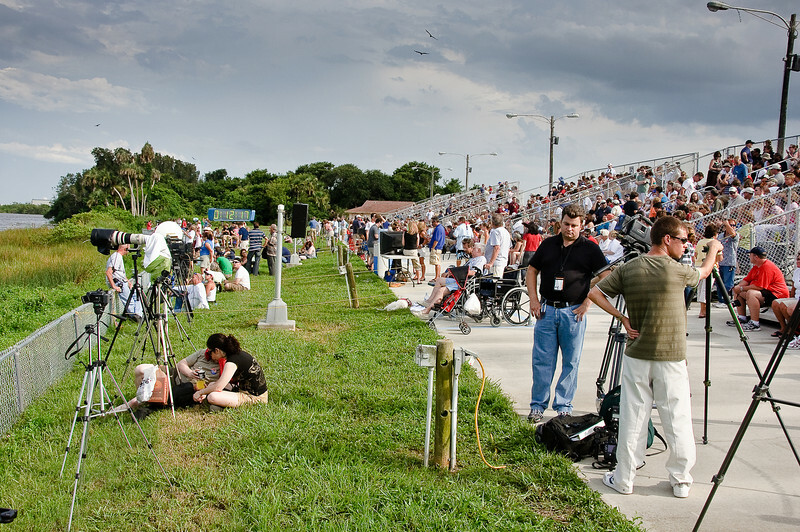 July 13, 2009 -- The scene at the launch viewing site at T-minus 12:17. Image from Connor and Dad's trip to the Kennedy Space Center (KSC) for the launch of the Space Shuttle Endeavour. It was ultimately postponed due to weather.